It was on a cold autumn day, much like today, that I stumbled across the newly built manga section in my local Waterstones store. There I came across the first volume of Naruto, a series I knew of because of watching an episode of the anime, and the first volume of Pokémon Diamond and Pearl Adventures. I’m not completely sure which of the two I read first but considering how much I love Pokémon it was probably Diamond and Pearl Adventures. At the time I didn’t really understand what manga was. The Pokémon volume I treated like any other Pokémon despite flipping through the pages and knowing the art stood out a fair bit from anything I’d seen before. The battles were striking and really caught my attention and I knew from the first chapter I’d stumbled across something I really liked although again at the time I didn’t realise what it truly was. That evening after finishing up my volume of Pokémon I decided to give Naruto a go. The art was much different from that in Pokémon Diamond and Pearl Adventures, but I could tell it was the same kind of thing. It was more detailed and more striking to the eye but also evidently drawn for a slightly older audience than Pokémon was. By the time I’d reached the end of the first volume I definitely had a taste for manga and wanted to read more. It wouldn’t be more than a week before I got my hands on two more volumes of Naruto (Pokémon in any shape or form proved much harder to find generally). I went on collecting Pokémon and Naruto for quite some time. 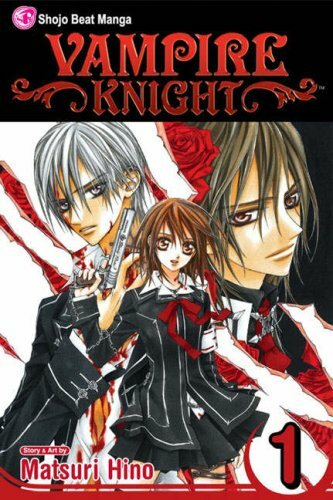 The next manga I ended up picking up was Vampire Knight. This was to be my first step into Shojo manga something which led the way for my love of the genre. 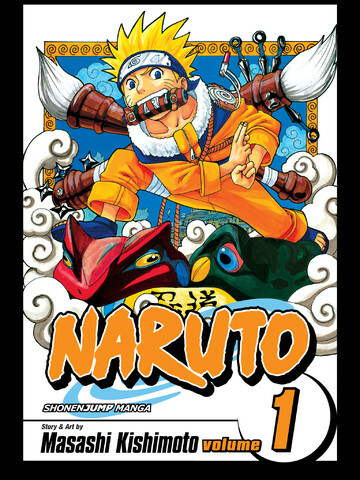 I knew from the off that this was different to the style Naruto. There was more focus on the interactions between characters than there was battles and action scenes, but I really liked that. I like Shonen manga, I really do, but there is a special place in my heart for Shojo manga that nothing can really touch. Vampire Knight is definitely a special series for introducing me to what Shojo was and chances are I’ll be talking about it more in the days to come. I’m not all too sure what I picked up going forward. I seemed to end up with random volumes of Bleach, One Piece, Ouran High School Host Club and Black Butler laying around without really collecting anything outright. 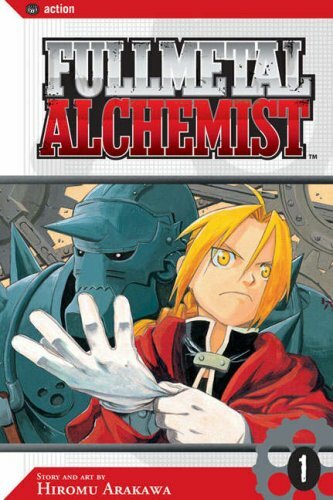 The next series I really focused on collecting was probably Full Metal Alchemist a series which has ended up very close to my heart for a number of reasons. Chances are I will be talking about this series a lot more as the days go on as well. Overall people can slate Naruto all they want and I often don’t think too greatly of it for certain things the series does, but regardless it will always have a special place in my thoughts for introducing me to something that I’ve grown to love so deeply. Manga really isn't my strong point – I've only properly bought and read a handful of series at best – but I believe that the first piece of manga I ever read was a random issue of "No Need For Tenchi". I'd been collecting the Tenchi Muyo OVA at the time and bought the comic simply because it was Tenchi-related. I doubt it was even the first issue in the series, nor did I continue collecting it. It just wasn't that interesting to me. It wasn't for several years later, when "Pokemon Adventures" and the "Electric Tale of Pikachu" saga were first published in North America, did I start avidly collecting manga. While Pokemon Adventures may not be the finest piece of manga in existence (although I still feel it's the most brilliant storytelling to ever come from the Pokemon franchise), it was incredibly fun and exciting to collect as a young teen and will always have a special place in my heart for jump starting my interest in manga. I wonder how long ago it was when you first picked up your first manga? I can still remember my first manga, but when I think of it I find that I’m still relatively new to it. Like you Naruto was one of the firsts for me, but it wasn’t the one that got me hooked on it. Hmmmm. That’s a good question! 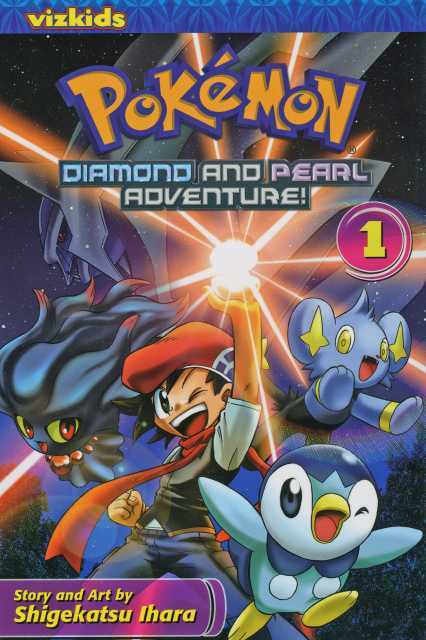 It was probably around the end of 2008 so I was about 13 at the time, at least from looking at the publishing dates for Diamond and Pearl adventures that seems right (considering the series wasn’t near finished and not much of it had been printed). What a good read! It’s always fun to learn how an individual’s evolution of fandom develops! This was a very hard question to answer, as I have bought more manga over the years than I’d like to admit. Finally, I had an epiphany: I’m so old that I actually bought those tiny issues of manga before they were sold in book format!! So, looking back, I have a couple Project A-Ko, a lot of Dragonball, lots of Ranma 1/2, and a pile of Pokemon Adventures along with some of the Electric Tale of Pikachu. All wonderful series, although I will give the spotlight to Ranma 1/2 as it is the series that first made me take a good solid look at what Japanese media actually was (anime, manga, etc). Dragonball is a close second on that ownership!